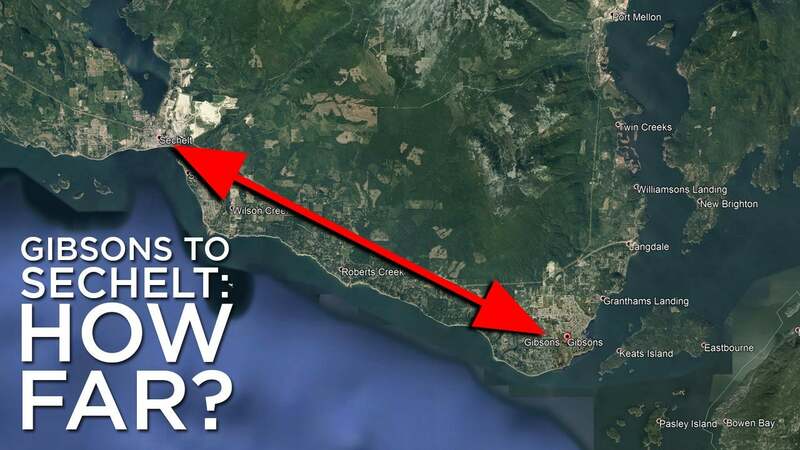 How far from Gibsons to Sechelt? As the two largest centres on the Sunshine Coast, it’s not unusual for residents to regularly travel back and forth between Gibsons and Sechelt. Just how far is that trip? Google Maps says it’s a 23-kilometer drive between the two towns. In normal conditions on a good day, you should be able to easily make the drive in less than half-an-hour. If you hop on the bus, the trip should take you about 45 minutes. If you’re healthy and fit, riding your bicycle from Gibsons to Sechelt will require an hour-and-15-minutes of your time. If the weather’s calm and you’re really ambitious AND you want to make the trip in a way most people never see, you can canoe or kayak that distance in five to seven hours. But make sure you’re prepared and that you’re going with an experienced paddler. Whichever mode of transportation you plan on taking, make sure you give yourself a little extra time. Weather and the ferry schedule can have a big impact on traffic along the Sunshine Coast. Call Tony to sell your home!